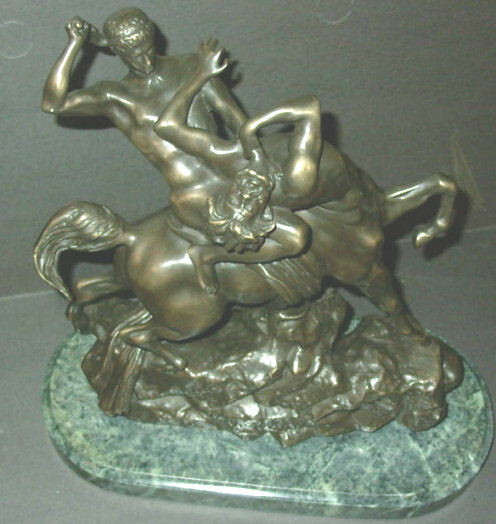 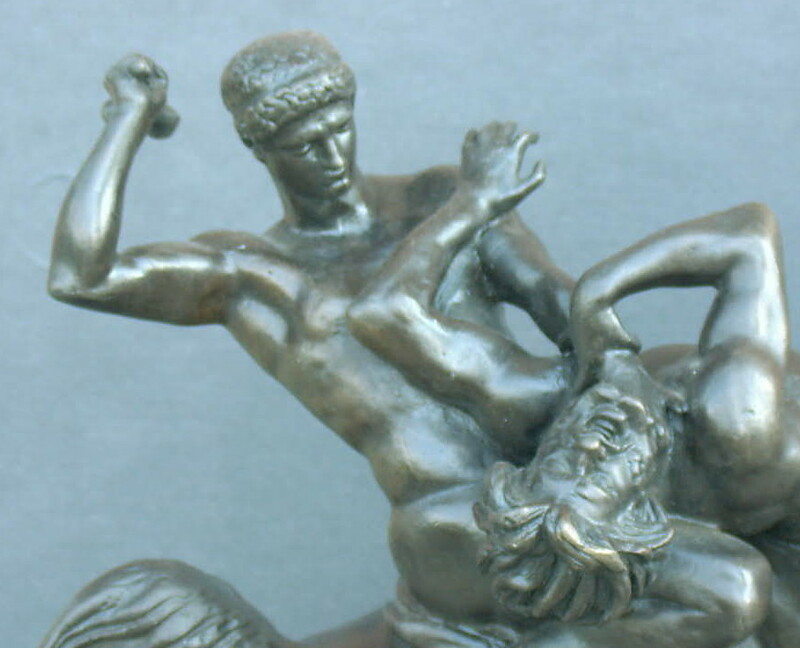 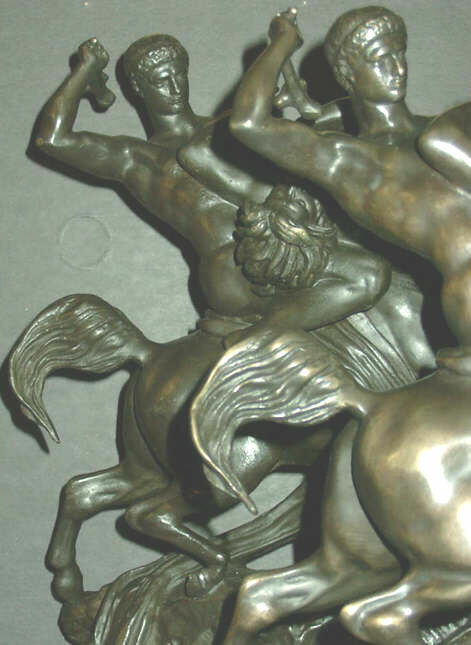 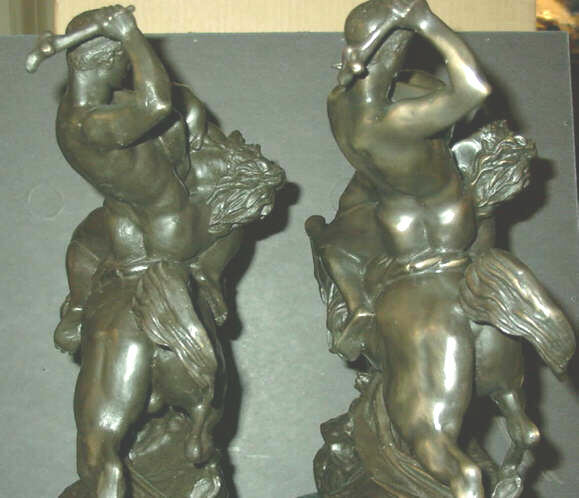 "Theseus Slaying the Centaur Bienor"
"Theseus Slaying the Centaur Bianor"
"Thesee combattant le centaure Bienor" (1850)"
"Produced by F. Barbedienne, Fondeur, Paris"
This bronze is pictured on page 69 (F21) in "The Barye Bronzes, a catalogue raisonne" by Stuart Pivar. 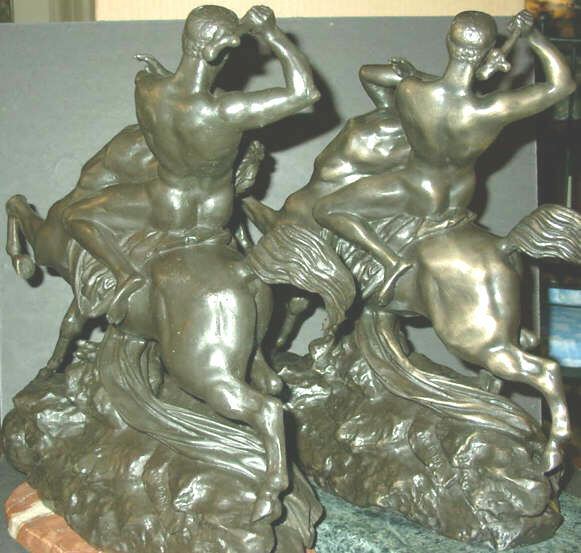 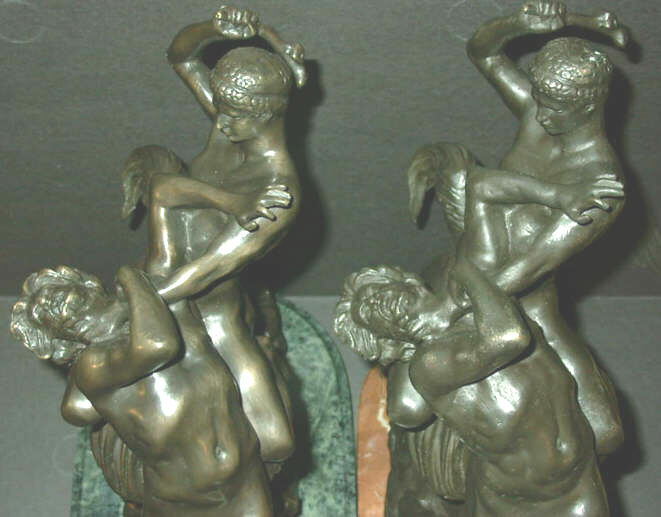 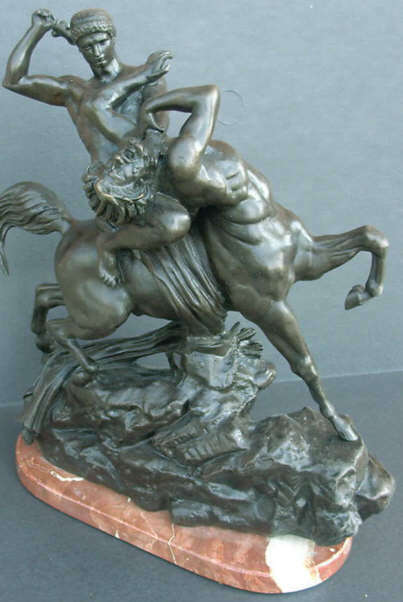 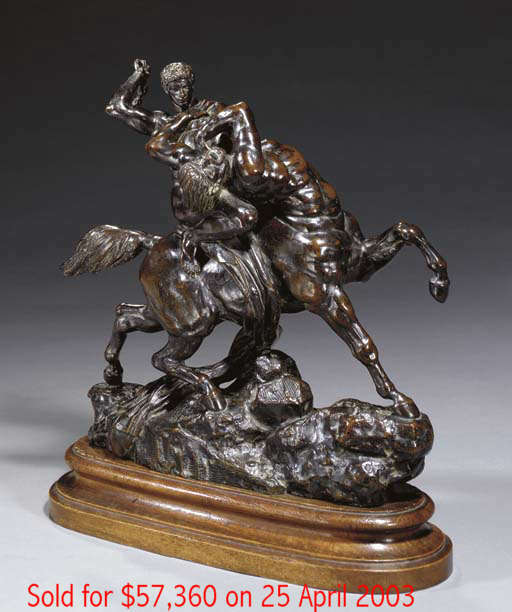 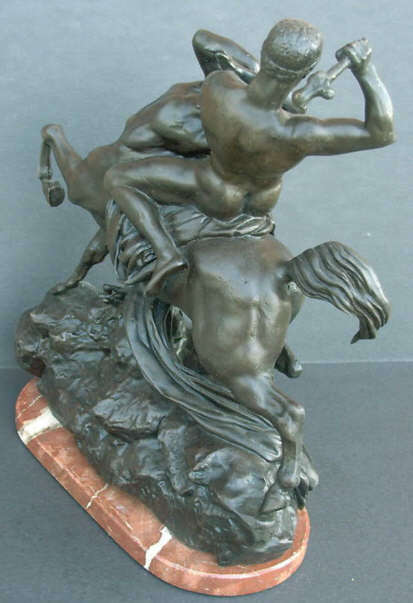 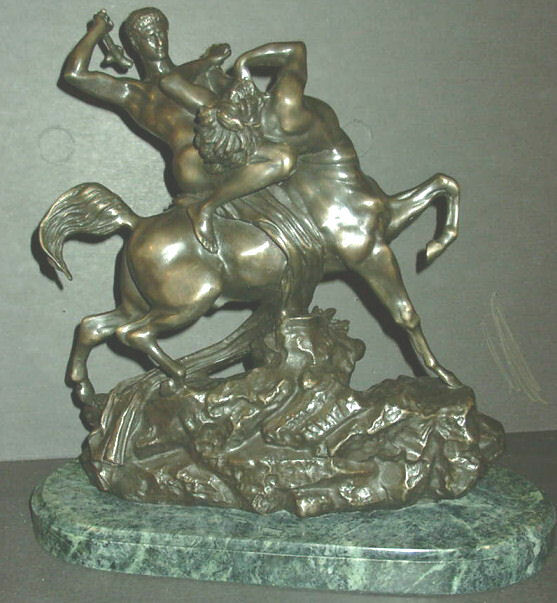 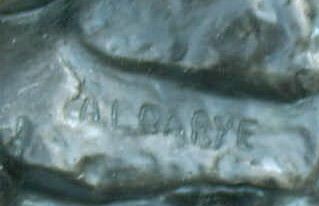 Produced by F. Barbedienne after Barye's death ca. 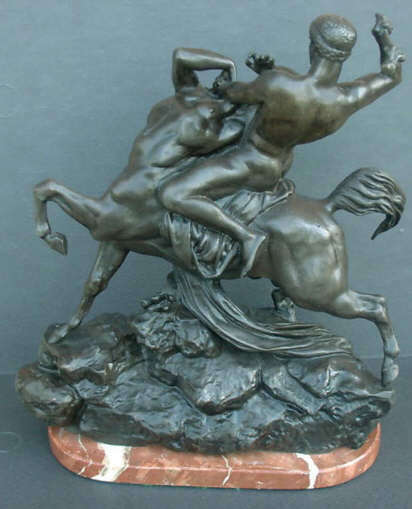 1880's. 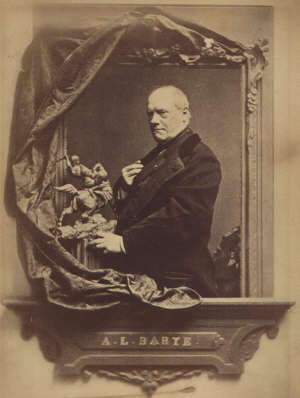 Antoine-Louis Barye (1796-1876) the earliest and most famous sculptor of the French animalier school. 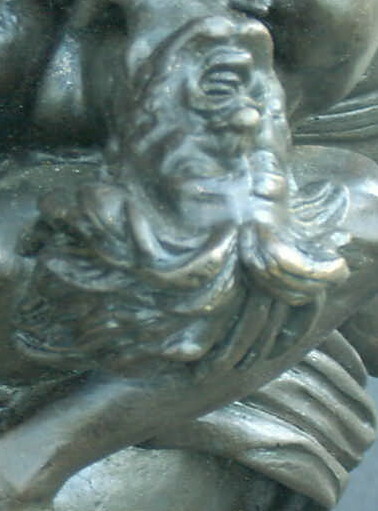 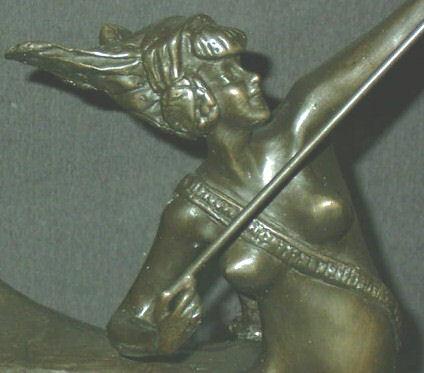 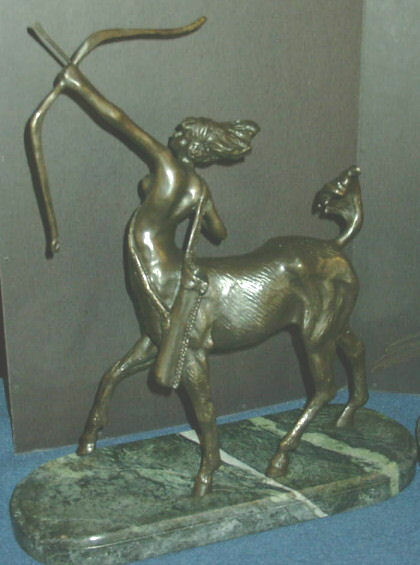 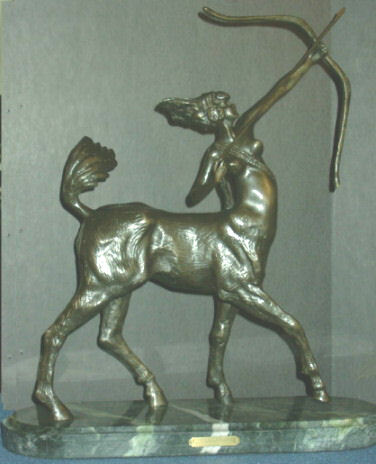 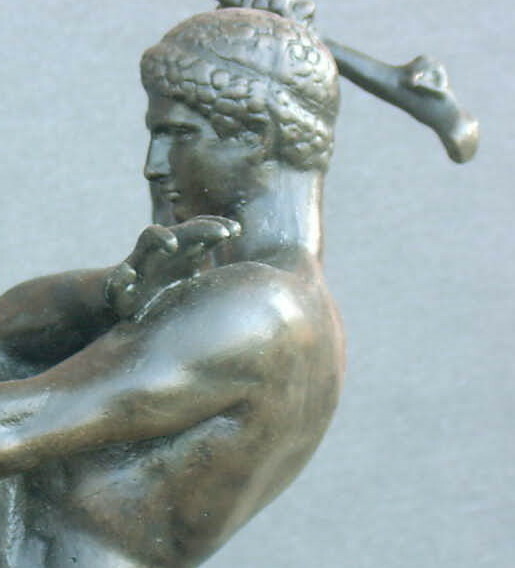 This bronze measures just over and 16 inches high. 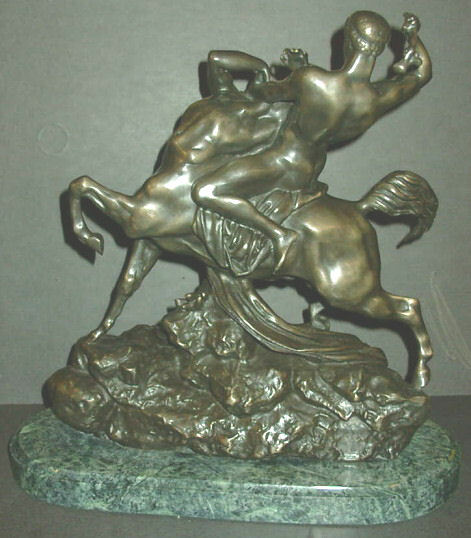 We believe this piece is a copy of an original. 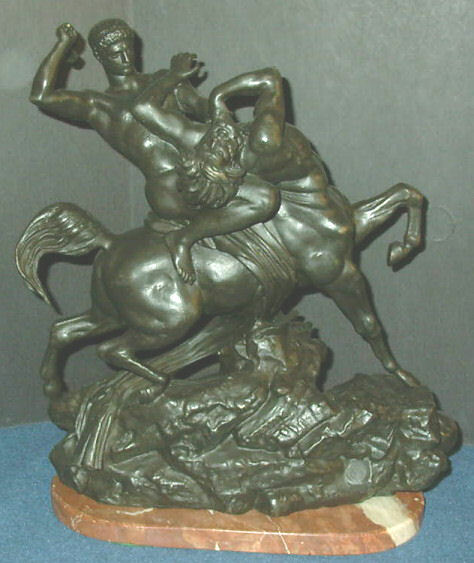 We also have a copy of this piece which will show along side of this one. 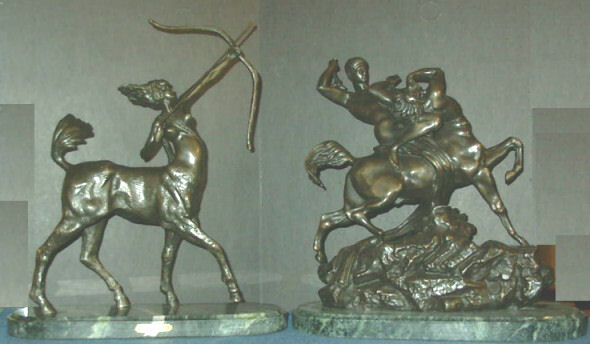 Both pieces are for sale. 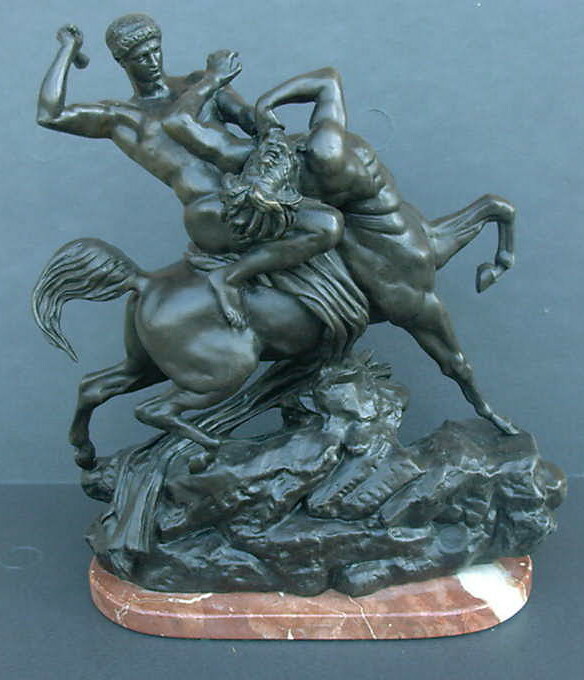 We also show an open edition original by C. Montgomery of the Centauress who is trying to protect her mate.